How Oakland Steam Cleaning operates. Carpet Steam Cleaning article. Oakland Steam Cleaning operates with the following belief in mind - steam cleaning is essential to prolonging the life of your carpet. While regular carpet cleaning methods may answer most stain, dirt and grind problems, carpet steam cleaning is still recommended as measure to ensure a long lasting clean carpet. Our steam cleaning machine utilizes vapor steam cleaning, be it warm or cold, to separate individual fabric hairs, get under invisible stains and dust particles and pull them out. Only by using this cleaning technique does your carpet regain its original vitality, promising an extended lifespan and a certified clean bill of health. Oakland Steam Cleaning service recommends you steam clean your carpet at least once a year, or immediately after a large staining or spill accident. Our Oakland Steam Cleaning technicians are highly trained and ensure best results after each and every cleaning. Living up to this promise demands staying on top of the latest carpet steam cleaning equipment. 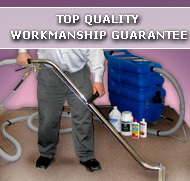 In addition the latest cleaning techniques, such as, carpet cleaning steam dry are explored and trained. Oakland carpet steam cleaning services are offered to residents of Oakland and the surrounding areas, be sure to check us out and give us a try.